The Star mPOP is a compact solution ideal for Kiosks, Pop-up shops, small counter tops or really anywhere because it just looks great! 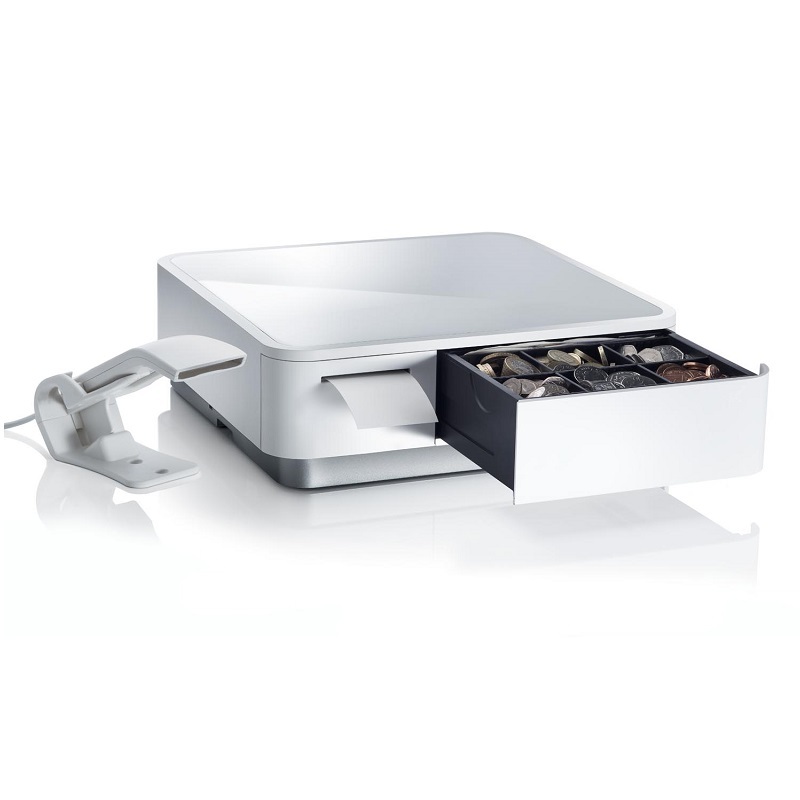 The mPOP is a combined Bluetooth Receipt Printer and Cash Drawer and is compatible with the Vend Register iPad app. Vend has provided a Star mPOP setup video along with documentation which makes setting up the Star Micronics All in One solution simple to achieve. The Star mPOP is available in two colours (Black & White) with optional USB barcode scanner to suit. If you wish to use a Bluetooth barcode scanner, we recommend the Socket Mobile range with options or either 1D or 2D. Vend & ourselves recommend the 2D as this will future proof your system and allow scanning or two dimensional barcodes such as QR codes. You will require paper rolls as the mPOP only comes with a single roll. We do sell the Star mPOP Paper so don't forget to order these if you needed. If you require any further information about the Star mPOP Point of Purchase solution with Vend, please feel free to contact our POS Team via phone or email.